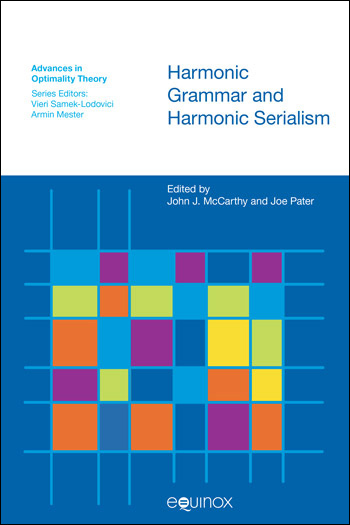 Harmonic Grammar and Harmonic Serialism introduces readers to current research in Optimality Theory that involves a reconsideration of two of Prince and Smolensky’s (1993/2004) basic architectural decisions. One is the choice of constraint ranking over the numerically weighted constraints of OT’s predecessor, Harmonic Grammar. The other is the choice of parallel evaluation over a version of OT in which the representation is changed and evaluated iteratively – Harmonic Serialism. The contributions in this volume explore the consequences for phonological theory of adopting serial evaluation, weighted constraints, or both. Because the volume contains both introductory material and the latest research, the intended audience encompasses advanced undergraduates, graduate students and professionals in the field. Although the content is mainly phonological, the book will also be of use to researchers in OT syntax and computational linguistics. This volume is a welcome introduction to key questions related to Harmonic Grammar and Harmonic Serialism. Since both HG and HS are in their incipient stages, this book should be welcomed by both seasoned phonologists as well as students of phonology.